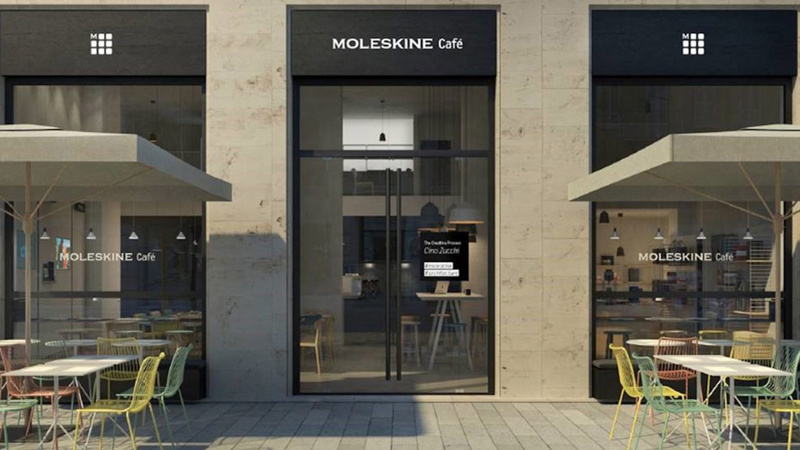 Cult notebook brand Moleskine has opened a branded café in Italy as it seeks to position as a lifestyle brand for creative people. The Moleskine café, which has opened its doors in Milan's Brera Design District, mixes the elements of café, art gallery, store and library. The aim is to create a “contemporary reinterpretation of the idea of the café littéraire”. 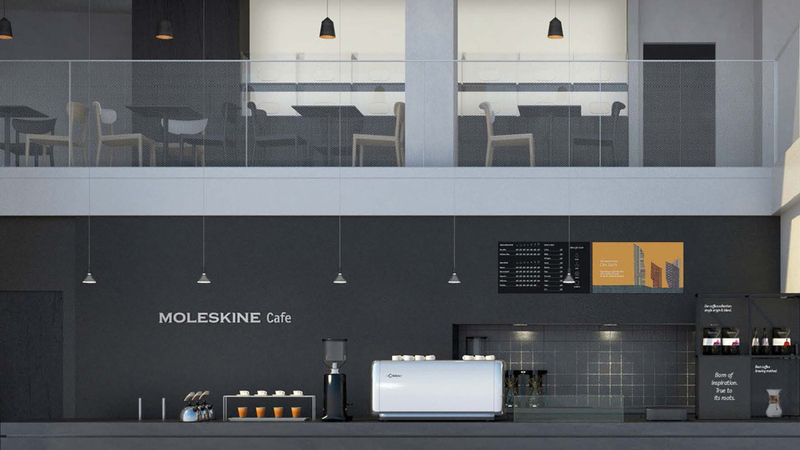 “The café is designed to deliver a mix of energizing and soothing experiences, boost creativity, and spur deep conversations and thoughts,” Moleskine said. 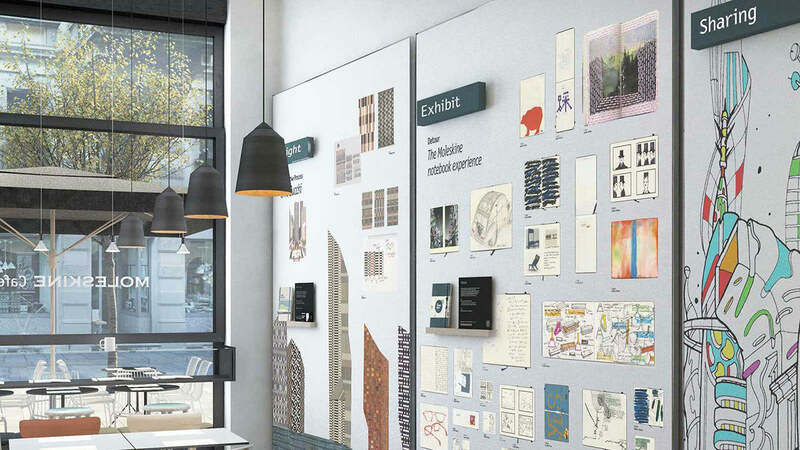 Moleskine Café will host regular exhibitions, displaying work from architects, illustrators and fashion designers such as Salvatore Ferragamo, Cino Zucchi, Kengo Kuma and John Alcorn. The cafe will also host talks and breakfast seminar sessions. Moleskine has partnered with Milan-based coffee roasters Sevengrams to create special Moleskine packaging for coffee beans. Moleskine has been diversifying the company’s product offering over recent years with the launch of bags and digital notebooks as part of its bid to grow the business beyond its core product. However, it is that core product, the iconic black notebook, that this cafe celebrates both in design and spirit. Moleskine’s business was founded in 1997 to resurrect the black notebooks favoured by history’s greatest creative minds such as Ernest Hemingway, Pablo Picasso, and Vincent Van Gogh. This positioning has helped establish the brand’s products as the notebooks of choice for creative types. They have also come to symbolise creativity, artistry and ideas. It is fitting to create a modern space dedicated to helping bring these values to life. 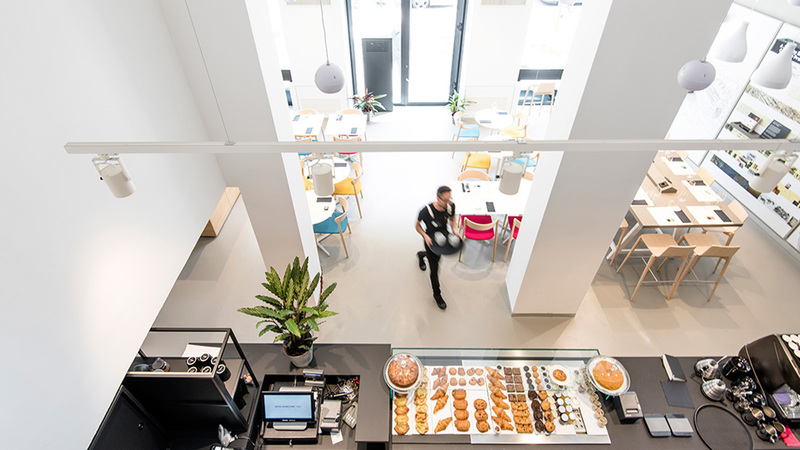 Combining the cafe with a work space, a gallery and of course a retail area is the perfect way to ensure the brand embodies its core values of creativity and imagination, while also remaining relevant. Moleskine is not the first brand to create a brand experience in a cafe environment, notable others include Hello Kitty and Gucci. However, there are not many brands that could authentically create a cafe / retail space that artistic types would feel comfortable with. 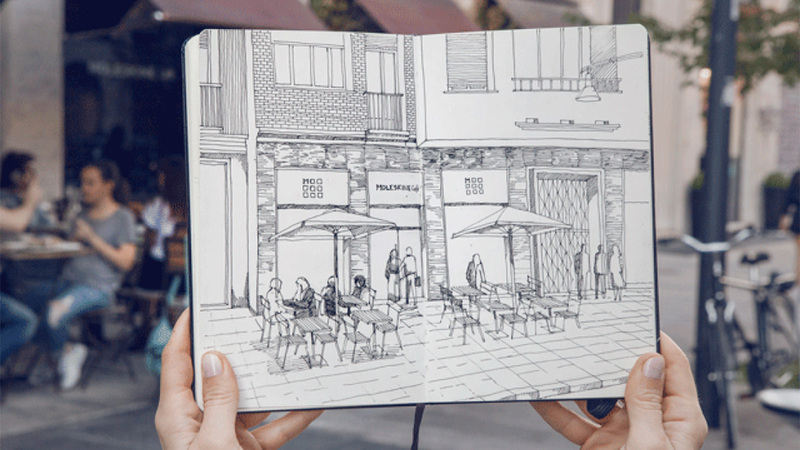 Moleskine has achieved this. 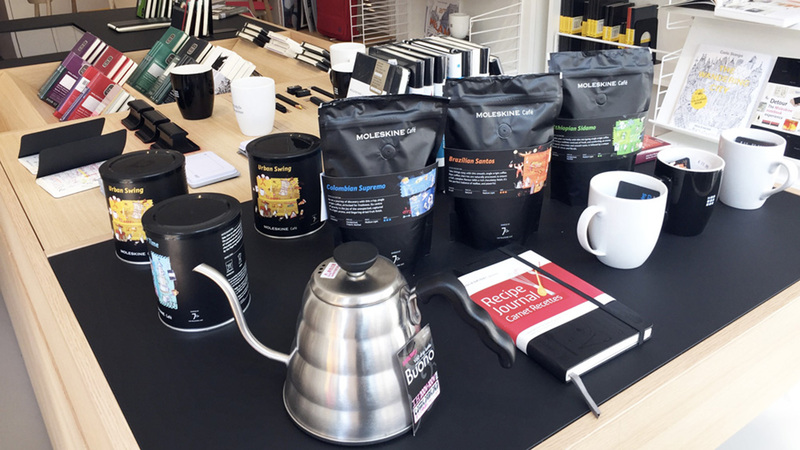 No doubt buoyed by the success of its pop-up cafe at Geneva Airport, Moleskine has successfully created a branded space that encourages creative types to sip coffee and scribble ideas in notebooks. By shifting the brand from a notebook to a broader lifestyle brand, Moleskine is hoping to ensure its relevancy and purpose in the digital world. Creating an environment that encourages offline creativity is a smart move and infusing this space with coffee, inspiration, and work space, is also a major bonus. The company plans to roll out its branded cafés across Europe, Asia and the USA. This is a brilliant idea by a much-loved brand that clearly understands its audience.